LOUISE AUBRIE: I have a special place in my heart for both cities. These days, in many ways they are the same: you walk around and see the same stores, the same restaurants, the same spectrum of (in)sanity and creativity. I feel like the energy in NYC is more heightened than in London for a couple of reasons: 1) The size of Manhattan and the concentration into such a small area  its like someone has gone to London, stood at Stepney to the east and Ealing to the west and squeezed that 14 mile width into Manhattans two. And secondly, the 24-hour culture. I still dont think London has really embraced this, which is no bad thing, but the streets feel different at night which again can spark thoughts and ideas that might otherwise be constrained to dreams and/or nightmares! I moved to New York 5 years ago, mainly because Id always loved the city and wanted the experience of living in such a legendary environment. It can be tough living in this city, but its also very addictive... its so hard to leave, and even though it can boot you and bruise you, its a wonderful city full of opportunities. mwe3: Your first album was excellent and your new one is even better in my opinion. Can you compare Fingers Crossed with the newly released Time Honoured Alibi? Are there some similarities, especially considering both were produced by Boz Boorer. How did you meet Boz and whats it like working with him on your music? I read that both CDs were recorded in Portugal, mixed in London and mastered in L.A. Sounds like an international adventure of global proportions! What was involved in the planning and making of the new album? LOUISE AUBRIE: Thank you very much. The first record was a culmination of many years of material, taking all those influences I had grown up with and making them into a cohesive unit. This new record is more rooted in rock than the last, although it does also include two ballads which have also proved to be very popular at live gigs. I was listening to a lot of T-Rex, New York Dolls, and Blondie and definitely wanted to come out with a rockier sound. There are of course similarities because I have worked with the same team on both records; from the musicians to the production, mixing and mastering. I first met Boz briefly in London, before I moved to New York, through a mutual friend, Roger, who owns the recording studio where I first started laying down some tracks. Roger was extremely kind to me and gave me my first opportunity to work with his engineers and to start being creative with my own material. Roger is old friends with Boz, and Boz and I actually lived very close to each other in London. However, it wasnt until I moved to New York that my relationship with Boz developed. He was touring a lot with Morrissey in the US, and one day I handed him some demos, which luckily he liked! He saw something in them, and he was generous enough to work with me on producing the albums. Boz is wonderful to work with; his ears are the best in the business. I am always amazed at how he can hear every tiny sound and nuance, and he will pick up on things that no one else can; just a subtle line that would change an entire song. He spent many years as a studio engineer, and that, coupled with writing, playing and being on the road now for over 30 years, really makes him the most special person to be around. I am a big fan of his music, both solo and with Morrissey, so to be able to work with him is an amazing experience. mwe3: Who plays with you on the new album and how would you describe the chemistry you achieve with your band members? Who else would you credit as being important in the design and making of the Time Honoured Alibi CD? LOUISE AUBRIE: I have the same team around me, and I have been very lucky to work with them all. When I first moved to New York, I didnt know anyone, let alone any musicians. But as I started to go to the clubs, I quickly met a bunch of people again, the concentration of the downtown music scene means that you get exposed to a great number of people. That said, I actually went through 5 or 6 line-ups before I found the one that workedyou are right that it is about chemistry, not just musical ability. On guitar, I have Rob Ritchie, who also sings the duet Tonight At Ronnies with me, on bass is Matt Wigton, and on drums is Fred Kennedy. Matt and Fred have a wonderful partnership and have worked closely together for over a decade, so this gave me a really solid foundation. They recommended Rob to me, who I knew was a fantastic guitarist as soon as I met him and first heard him play. The fact that the three guys all knew each other before was also a key element. We all respect and care about each other inside and outside the band. Obviously this was all then shaped by Boz who was key in bringing together the arrangements that the 4 of us had designed. After this process, Fred did some additional production work, then we turned to Cam Blackwood at Voltaire Road Studios for the mixing. Cam has worked with a wide range of recording artists, including Cee Lo Green and Florence and the Machine, and I believe is one of the best in the business. Finally, Dave Collins mastered the album. Dave is the former chief mastering engineer of A&M Studios. mwe3: What was your earliest exposure to music and some of your favourite artists, then and now? Who inspired you and who inspires you now? How about your early musical training and influences, both musically and song writing wise that led you towards a career in music? LOUISE AUBRIE: I grew up with such an eclectic range of music. It may sound strange given the music that I write and release, but I am a big fan of the greats  Sinatra and Elvis. In my book, no one comes close (or will ever) to Sinatras style and phrasing in a song  he never once sounded unsure about his attack. And Elvis is, of course, the King. Very close to my heart, musically, is David Bowie whose career I have followed since birth really! And then the glam-rock era and of course punk-rock. T Rex, the Pistols, the Dolls, and the Ramonesand I remember playing a Blondie album over and over when I was growing up until I wore it out. However, the central influence on my music is Morrissey, both his career with The Smiths, and his 20+ year solo career. The Queen Is Dead changed my (musical) life. I know I am not alone in citing that as one of the seminal and most influential albums that has been made. It is an incredible body of work. Morrisseys solo albums Vauxhall And I and Your Arsenal in the 90s were also a huge influence, the latter being produced by the late great Mick Ronson, and its a sound that I definitely tried to emulate. With regard to training, I had classical voice lessons from the ages of 15-20, but this was more Mozart than Moz! mwe3: How about your main musical instruments as far as writing music and performing? What instruments do you write music with? Are you into gear, guitars and otherwise or do you mostly focus on song writing? 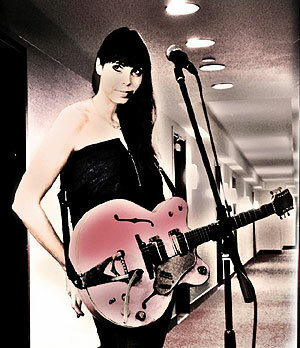 LOUISE AUBRIE: I write all my music on the guitar. 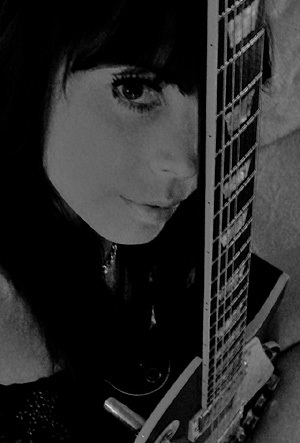 I love guitars, my favourites being Gretsch. 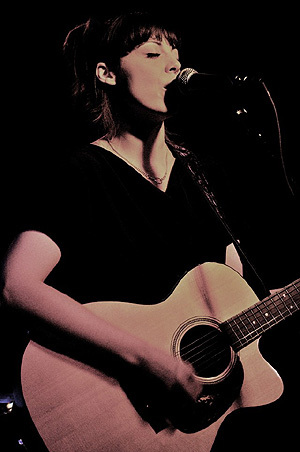 But I also have Gibsons, Fenders and an acoustic Martin, the latter being my go-to guitar when I write. But I am not a guitar-geek, no. I would actually love to be, but I am lucky that the guys I have around me are very into gear, and know exactly what kind of sounds will work! For me, the lyrics are just as important as the music, and I usually write them at the same time. mwe3: Do you have any personal favourite, standout tracks on Time Honoured Alibi? Track 5, Tonight At Ronnies harks back to your beloved London and the track also features shared vocals with Rob. Whats the story with that track? That song kind of makes me homesick for both New York and London too! LOUISE AUBRIE: Thank you! Its hard to have favourites, actually! And it changes all the time. This whole album is about great men in my life, so in a way, I love them all. Ronnies is a love song, based in London. I wrote it with Robs vocal in mind, and Im glad how well it turned out. I like people to draw their own conclusions regarding what the songs are about, so Ill just say that its a very happy love song! mwe3: What else keeps you busy outside of music? Do you have other hobbies, interests or special causes youre involved with. How about seeing other parts of the US and/or North America? Its such a huge country! Your music must take you far and wide. 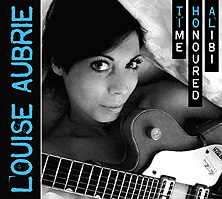 LOUISE AUBRIE: Music really takes up most of my time! I give to childrens charities both in London and New York, and do what I can to help those causes. I am ashamed to say that I have not done as much traveling as I should have done around the US! I would like to do that classic car-drive across the States...one day! mwe3: What are some of your plans for Time Honoured Alibi and other plans far as writing, recording new music and performing moving forward? 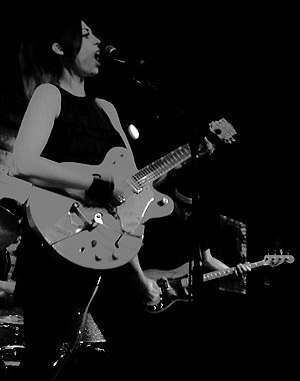 LOUISE AUBRIE: The plan for this record it to play gigs, initially in NYC, and then if possible around the U.S. and also over in Europe later in the year. The response so far has been positive, so I am hoping that these plans will become more concrete as the year progresses.